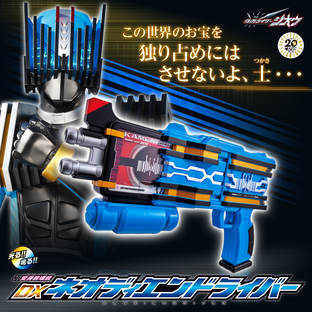 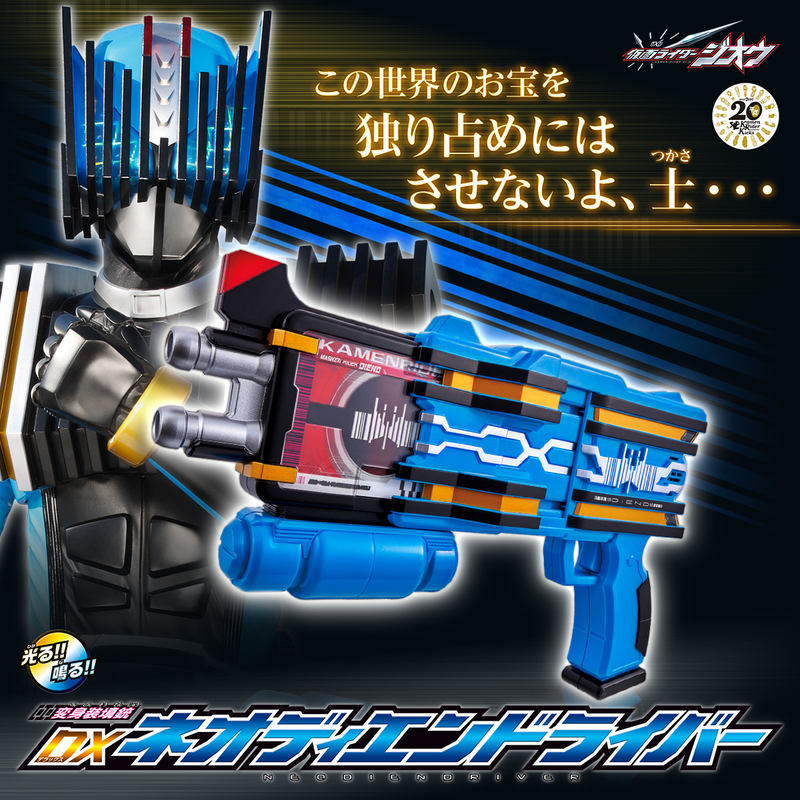 The transformation gun "DX NEO DIENDRIVER" is launched! 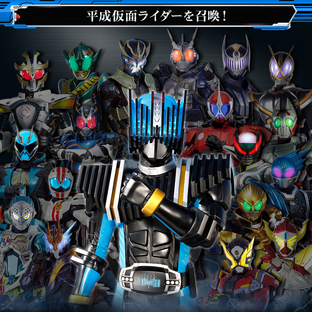 Kamen Rider DIEND, who played an active role in the 10th title of the Heisei Kamen Rider series "Kamen Rider DECADE" (aired in 2009), makes a comeback in the currently airing series "Kamen Rider ZI-O"! 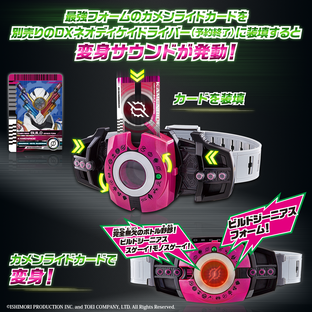 His transformation item "DX NEO DIENDRIVER" is already available for pre-order! 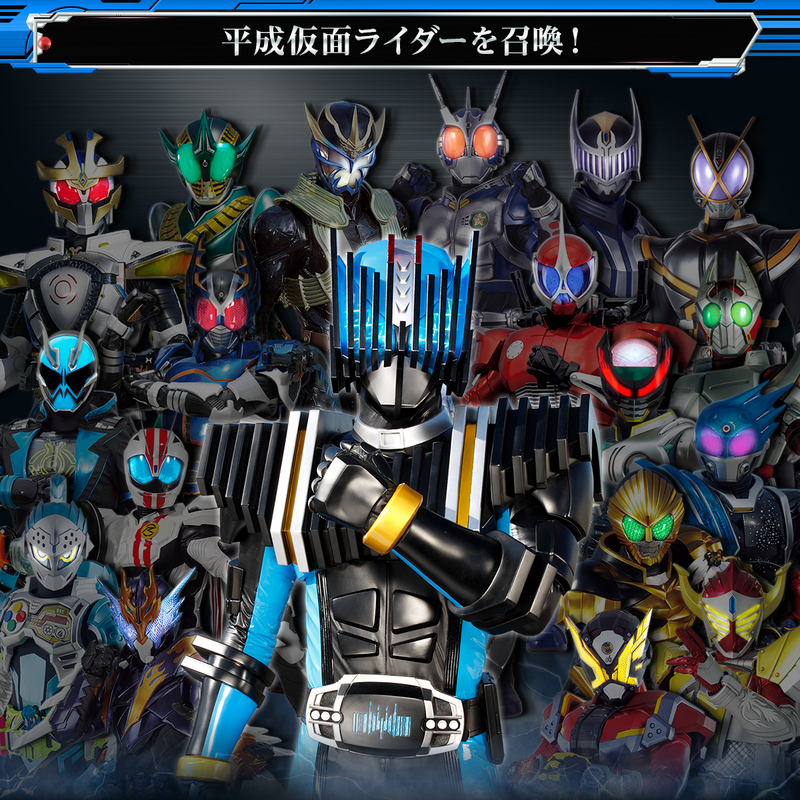 Across the years, the transformation belt of "Kamen Rider DIEND" has been renewed. 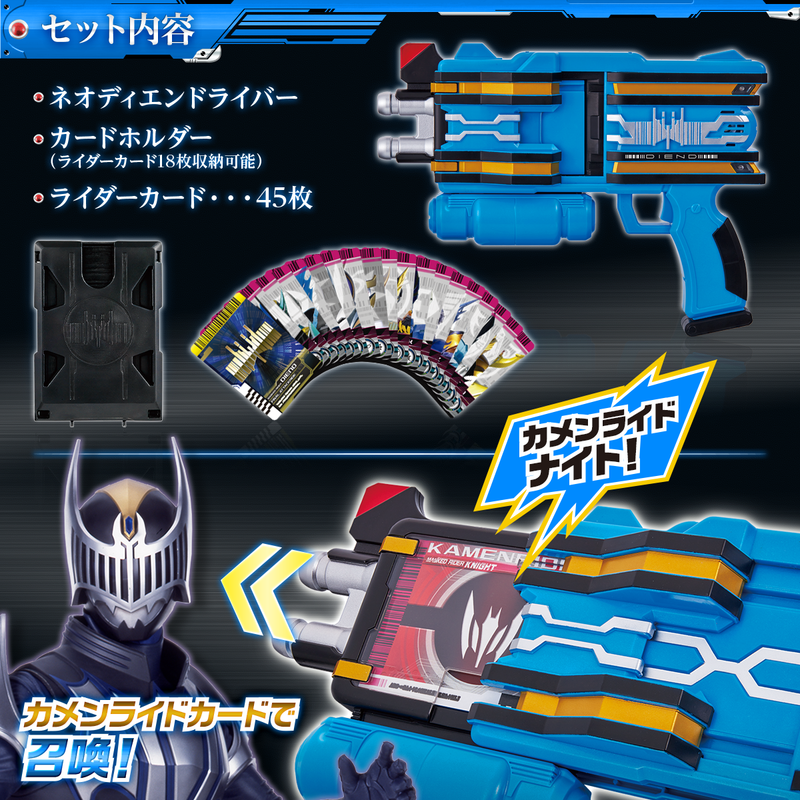 Apart from the colour of the main device that changed from black to azure blue, new contents that were not available in the previous "DX DIENDRIVER" nor the "CSM DIENDRIVER & DIEND BELT" are also included in this product, such as the "KAMENRIDE CARD" that can be used to transform into secondary Kamen Riders and the "FINAL ATTACKRIDE CARD" that can be used to activate finishing attacks. 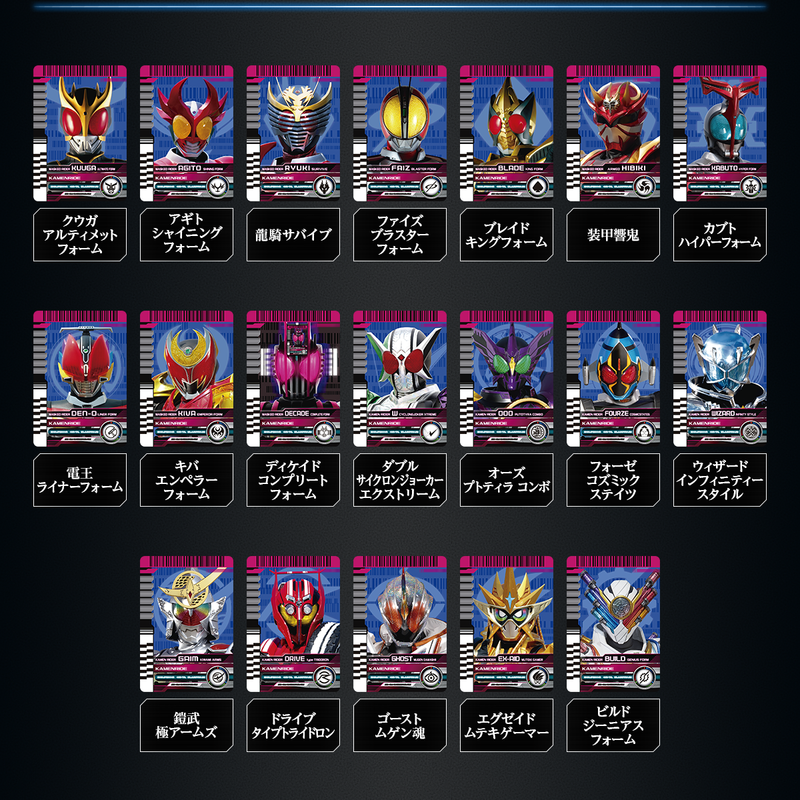 By using the "KAMENRIDE CARD" included in this product, not only can you can summon the 18 secondary Heisei Riders such as Kamen Rider KNIGHT and Kamen Rider ACCEL, but you can also summon the strongest forms of the 19 Heisei Kamen Riders, including Kamen Rider BUILD Genius Form. Insert a card and slide the front grip forward to activate summoning sound effects such as "カメンライド ナイト！！". 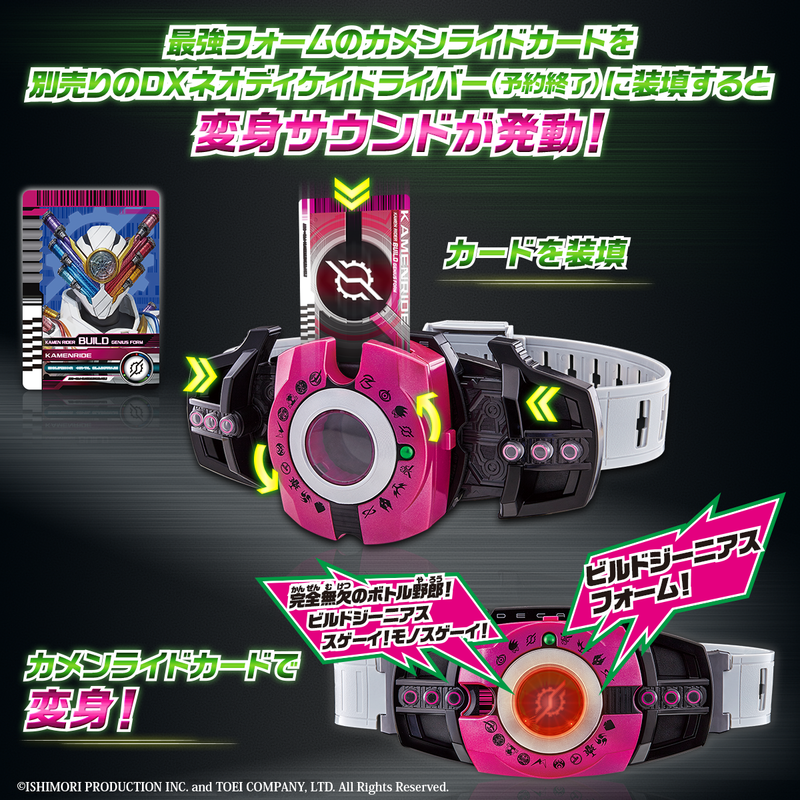 Also, by using DIEND's own "ATTACKRIDE CARD", finishing attack sound effects such as "アタックライド ブラスト！" can be activated. 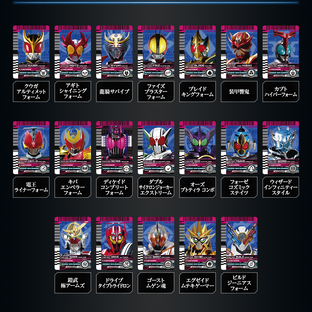 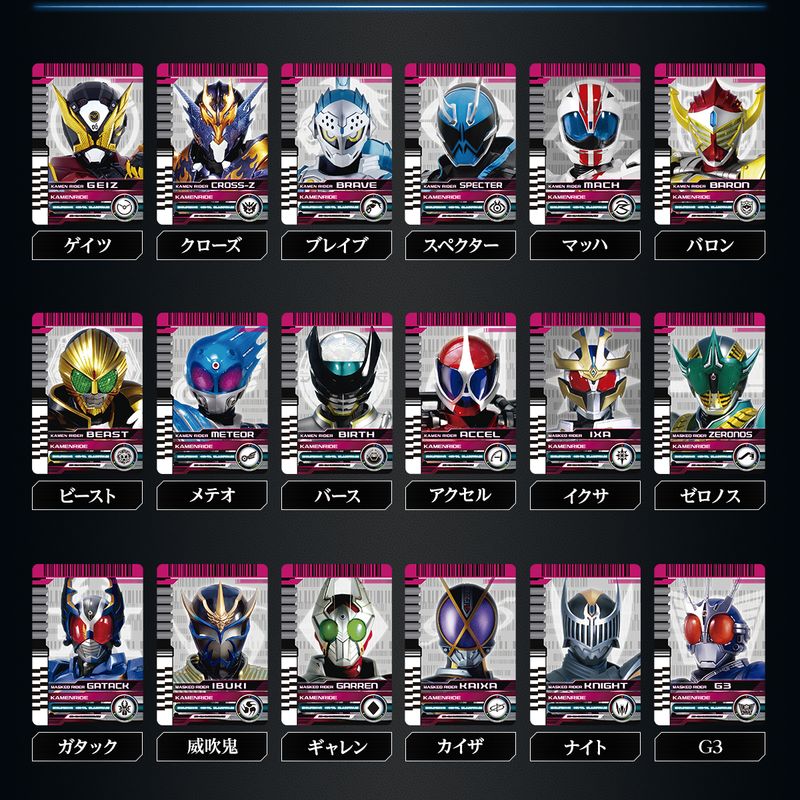 Moreover, by scanning the KAMEN RIDECARD of the Heisei Kamen Riders' strongest forms with the use of DX NEODECADRIVER (sold separately), the corresponding transformation sound effects can be heard. 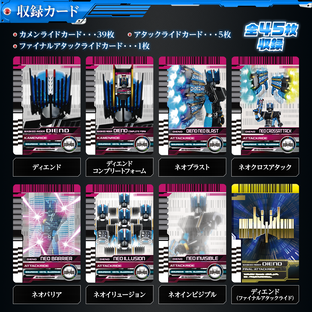 ※Pre-orders for DX NEODECADRIVER have closed. 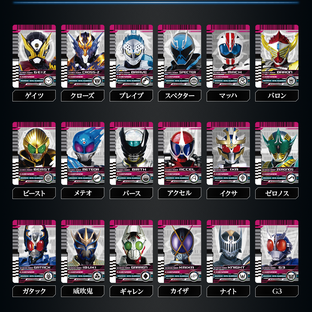 ※The Rider Cards included in this product are made with the same specifications as the "Rider Card Series" sold in 2009. 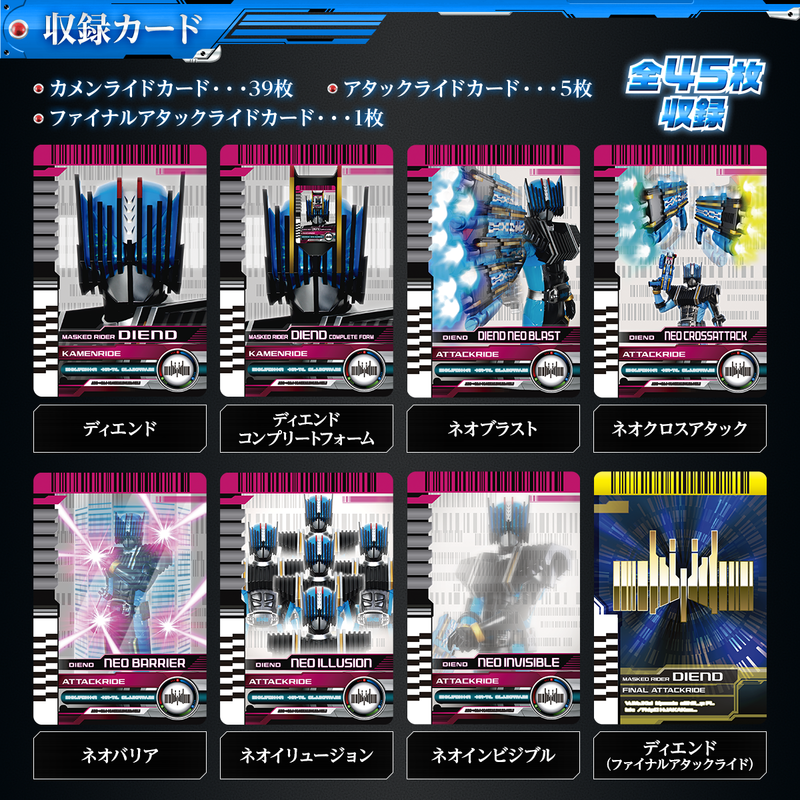 However, please note that the effects of scanning the cards with "DX DECADRIVER" or "DX DIENDRIVER" cannot be guaranteed.